When the Senior Vice President makes 3 hours in his schedule to tour your library and talk to each department and staff member, you have to come up with something to impress him. We originally thought he could visit departments and individuals, and they could give him handouts of their stats and information while telling him more about their day-to-day actions. And then it hit us that we’re the library; we should strive to make our presentation to him as forward-thinking and eye-catching as we can, and we should make the experience as real as possible. We uploaded the presentation to SlideShare and sent him the link before he could even get back to his office. Impressed does not begin to describe his reaction. 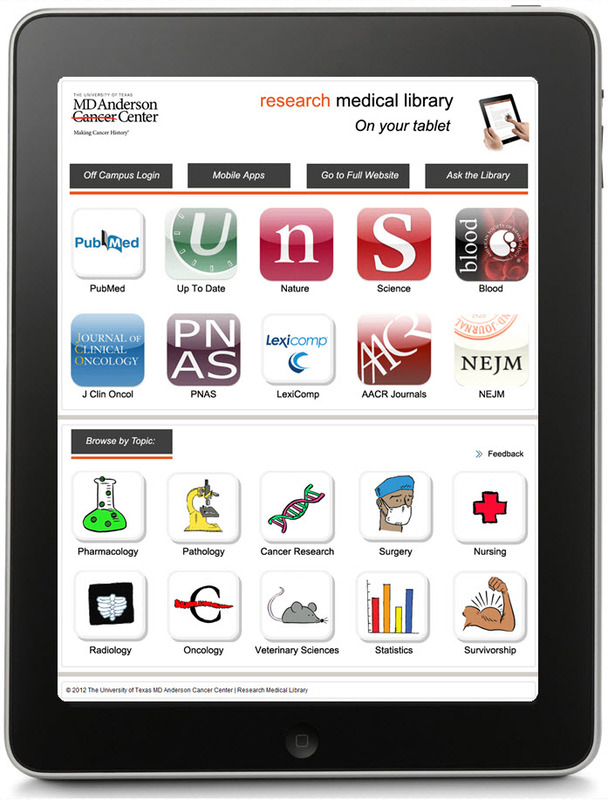 Interested in modifying this presentation for your own library? Contact me for the original file. Our goal here at Librarian Design Share is to be able to inspire you with creative ideas so that you can take them back and modify them for your own use in your library. 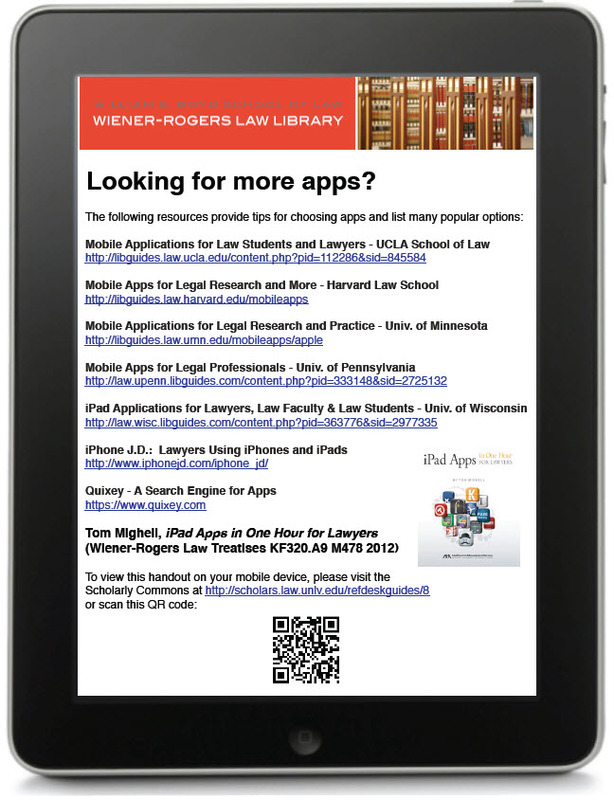 David McClure, Head of Research and Curriculum Services at the Wiener-Rogers Law Library at the William S. Boyd School of Law at the University of Nevada, Las Vegas, had done just this, and we’re so impressed with the results. 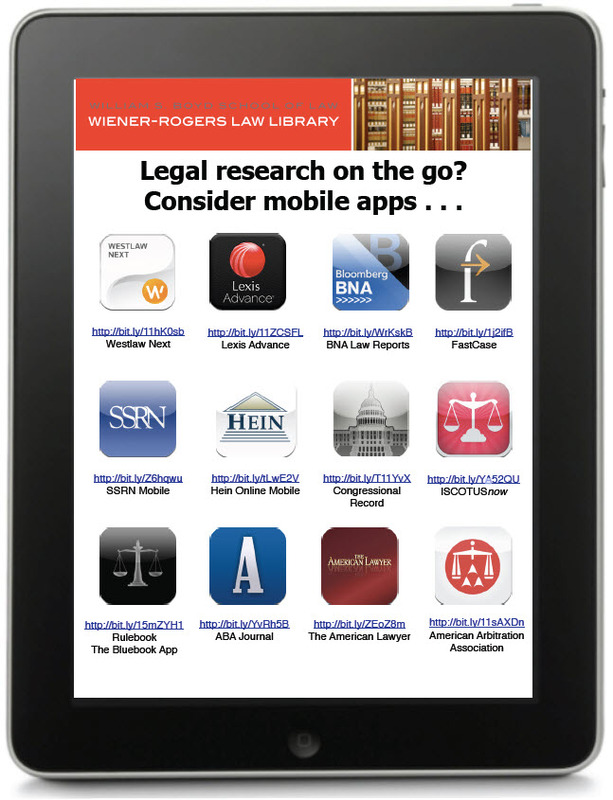 For some time, our library had considered various ways to share information on legal research apps with our students and faculty. While reviewing the ALL-SIS Task Force on Library Marketing & Outreach’s Academic Law Library Marketing & Outreach Toolkit, I ran across a reference to the Librarian Design Share blog. The January 23, 2013, post on “Advertising a Tablet Page” provided the creative spark (and the template) to make the handout a reality. We converted the template from Publisher to Pages format, and we increased the image size to create a full-page handout. Special thanks to April Aultman Becker and the Librarian Design Share blog for sharing the Publisher template with us. Library research assistants Jessica Perlick, Elizabeth Ellison, and Andrew Stagg also contributed their excellent research and design skills, along with their creativity and enthusiasm, to the project. A PDF version of the handout is available for download through the Scholarly Commons @ UNLV Law at http://scholars.law.unlv.edu/refdeskguides/8. For the Pages version, please contact David McClure (david.mcclure@unlv.edu). David mentioned that this was his first project with Pages and that he enjoyed the program’s flexibility when it came to manipulating images. Anyone else out there using Pages? We’d love to see! 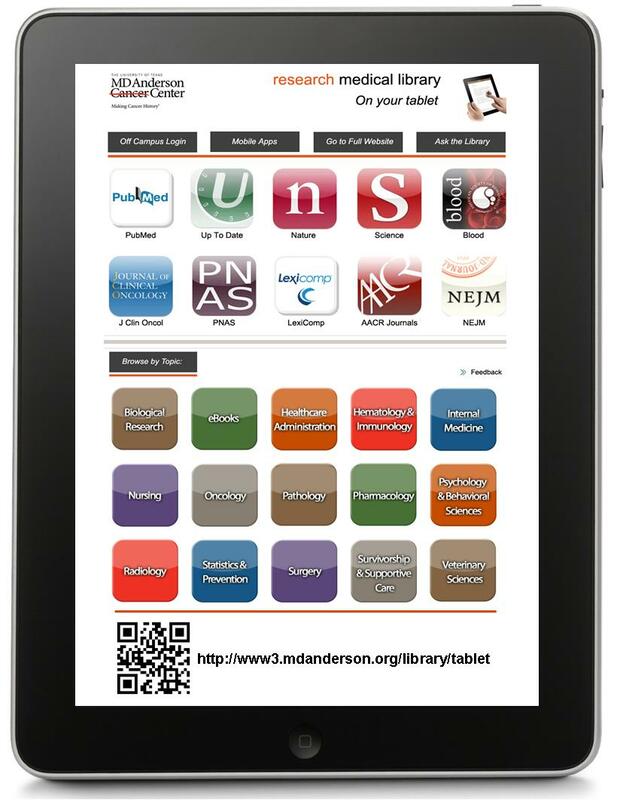 When our staff developed a tablet page to highlight our mobile resources, we wondered how we would advertise it. It finally became apparent that the very best way to advertise an iPad or other device was by using the image of the device itself. What’s more eye-catching than a tablet? 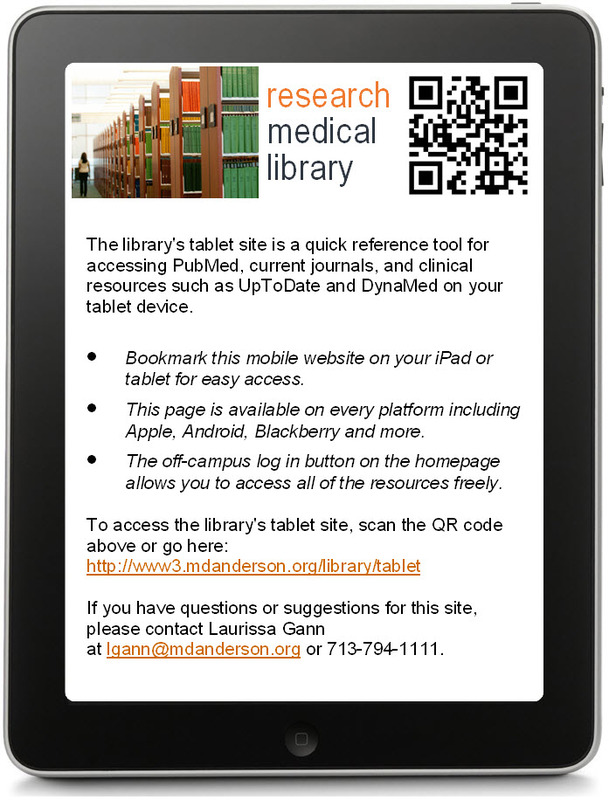 I made a handout that is two sided: the front is an image of our actual tablet page as if you were holding and viewing it (I just layered a screen shot of the page over an iPad image–that’s what you see above), and a little more information and QR code on the back side (see the image below). I print four of these per page to save some trees, and they are always popular at our Information Desk. The topic buttons on the handout were created by Laurissa Gann, Outreach Librarian at MD Anderson Research Medical Library. If you would like the Publisher document for this handout, contact April Aultman Becker.